Typical Cancers are trustworthy and conscientious. They have plenty of common sense and a practical outlook on life, as well as a talent for making money and investing it wisely. Cancers tend to have a lot of good business ideas, so they often start their own companies or seek other self-employment options. Businesses involving foods and beverages, hospitality, children, animals, or boats are particularly favoured for this sign. Cancers are good problem-solvers. Unfortunately, this causes some of them to become bossy or even controlling because they can see what should be done in a given situation and feel that they are pushing others into doing things for their own good. Although they are usually gentle, Cancers can turn ferocious when threatened and their physical and emotional strength can be surprising. They are aggressively protective of friends and family, and will not tolerate anyone saying bad things about those they love. Cancers are also fiercely protective of the weak and vulnerable in general, and many take in and nurture strays. They are particularly good with vulnerable people and animals because they can to intuit the needs of others and provide the support they require. Most Cancers need a mate, a nest, and children to make their lives complete (unless they have rising signs such as Sagittarius or Aquarius that incline them toward roaming). Because they they tend to be generous and compromising in their relationships, they can establish harmonious partnerships with compatible individuals, though freedom-loving types may find Cancers too needy. Unless they have their ascendants in more fickle signs, Cancers tend to be loyal, not only to lovers, family, and friends, but also to their countries of origin or those they choose for their homes, which manifests as a fierce patriotism. Most Cancers are homebodies, but they are also sociable with those close to them (though some are very shy outside of their social circles). They prefer to live with close friends, family members, or partners rather than on their own and enjoy social activities that take place in cozy venues (home or a small local pub) or bring them out into nature. 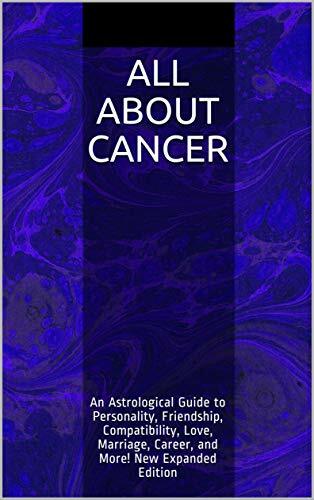 Cancers have a tendency to spoil their mates, children, and animals, and they are often the ones to take care of various extended family members as well. Cancers need to be needed, so they are compelled to nurture or rescue others. Because they are naturally sympathetic and quick to help those who are sick and suffering, Cancers are at risk of being exploited by unscrupulous people who fake problems for personal gain. Some Cancers devote their entire lives to their mates and their children at the expense of developing their own talents. This can lead to a martyr complex if they’re not careful. Unless other factors in their natal zodiacs incline them to be more selfish, Cancers tend to put others first and don’t take care of their own needs, which can cause resentment and bitterness. Many Cancers are physically tough and they may seem emotionally tough as well, but this is usually a mask to hide their vulnerability from others. Cancers react intensely to insults or cruel words, but they are quick to forgive if the other person shows kindness or remorse. They often overreact to criticism because words can wound them more deeply than blows. When hurt, a Cancer will usually retreat for awhile. Cancers are prone to worry and moodiness, and their tension may be experienced as a stomach upsets or other physiological symptoms. Some grow depressed from dwelling on real or imagined slights. However, although they tend to complain vociferously about minor problems, Cancers often meet major life challenges with quiet stoicism. Overall, they are far better at withstanding physical hardship than emotional hardship. There are two types of Cancers—the active and the passive. The first type is usually active on behalf of other people or animals. Active Cancers will labour tirelessly on behalf of a friend, partner, family, a good cause, a career, or a hobby, but without such a focus, this sign has a tendency to be lazy. Passive Cancers can sit around for hours socializing, drinking, watching TV, or listening to music. They are prone to self-indulgence when not taking care of others, so they may overeat or abuse substances if they don’t channel their energies into families, causes, or engaging activities. The Cancer tendency toward activity extremes can also be seen in the cleanliness their houses (or lack thereof). Cancer homes are typically either extremely tidy or complete disaster areas, but rarely somewhere in between. Cancers spend a lot of time thinking about the past. Many have an interest in the ancient past as well as their own pasts, which makes them good historians, and they have a tendency to indulge in nostalgia. Typical Cancer hobbies include collecting antiques, furniture restoration, restoring old cars or boats, archaeology, or other activities related to different historical periods. Cancer is a creative sign and many Cancers have artistic talents. Music and photography are common strengths, but they also tend to be excellent cooks and have green thumbs, and many have a talent for arts and crafts or DIY. Typical Cancers love outdoor pursuits such as hiking, climbing, swimming, camping, or sailing. If other elements in their natal zodiacs incline them to be cautious, Cancers are more likely to prefer gentler pursuits such as nature walks, picnics, or low-risk sports, whereas those whose ascendants, moon signs, or other natal zodiac elements incline them toward risk-taking are more likely to favour dangerous sports. The sun sign isn’t the only element that influences personality. Aspects and planetary placements, particularly the moon sign and rising sign, are also important. For example, a Cancer with Aquarius rising will be less traditional, domestic, sensitive, and possessive, and with Sagittarius rising, the secure home base is less important, and there is a strong urge to travel to foreign lands. Leo or Aries rising increase the likelihood that a Cancer will be interested in sports or some sort of patriotic service (such as the military), while Gemini rising makes a Cancer more outgoing and intellectually minded, with an intense thirst for knowledge.